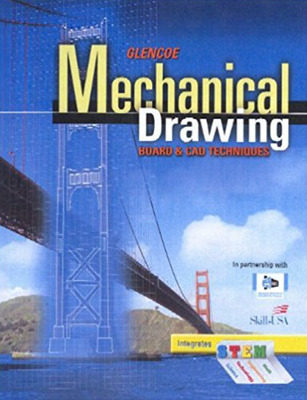 Project-based learning prepares students for professional certification with Glencoe Mechanical Drawing: Board and CAD Techniques! Step-by-step applications, design problems, and drafting problems prepare students for professional excellence and certification. 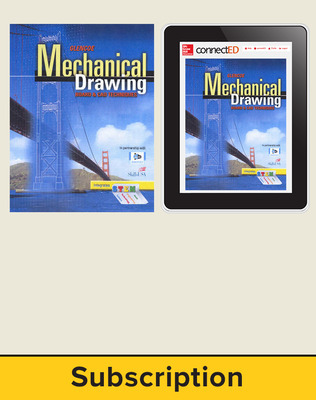 Endorsed by the American Design Drafting Association (ADDA), this text includes Prep for ADDA activities. Project-based learning prepares students for professional certification with Glencoe Mechanical Drawing: Board and CAD Techniques! Endorsed by the American Design Drafting Association (ADDA), this text includes Prep for ADDA activities. 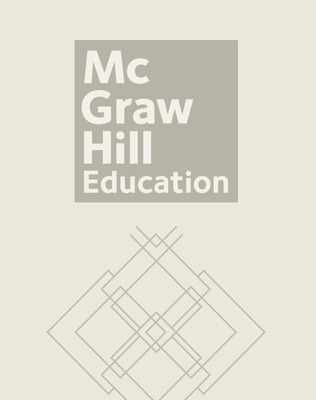 Step-by-step applications, design problems, and drafting problems prepare students for professional excellence and certification. Project-based learning is supported with unit-based projects that integrate technical math and culminate in Build Your Portfolio activities. Help your students get ready for competitive events like the TSA and SkillsUSA with prep activities embedded throughout the content and end-of-chapter assessments. Rigorous academic content is supported, with a special emphasis on math, geometry, and science, with STEM activities. Point-of-use correlations ease possible academic credit application. Extra activities in the Student Edition and workbook help you meet Perkins mandates. The appendix features Math (including algebra and geometry), abbreviations and symbols, pipe symbols, and reference tables (ASME, ANSI, ISO).